M J Mapp are the UK’s leading specialist manager of commercial property with over £9bn of commercial real estate portfolios, large office buildings and mixed use and retail schemes under management for a number of the UK's leading Fund Managers and property owners. In 2018 we launched Mixte, a Joint Venture with LIV, the specialist residential manager, to provide a solution for clients owning residential and mixed-use properties. Abbatt Property Recruitment, a multi-award-winning Property Recruitment Agency. We find and place the people who represent and maintain some of London’s finest buildings and have done so for nearly 60 years. We do this by recruiting on a simple yet effective philosophy; every candidate, every client and every building are different. Ashdown Phillips is a specialist property management company. Our focus is on delivering stronger annual returns, and more resilient portfolios for our clients. The best way to do this is to work with a brilliant team, who share our values. We like to think our clients and occupiers are part of that team and love getting to grips with the detail we can only understand by stepping into their shoes. We believe this is the best way we can make people’s working lives better. Celebrating the contribution that occupiers bring is, for us, like celebrating the success of one of our own. B-Line are the next generation of property maintenance contractor. Established as a leading civils contractor, our services include structural modification, concrete cutting and passive fire protection. From this professional pedigree, B-Line has expanded its scope into the property maintenance sector. B-Line have worked with many prominent contractors on a multitude of high-profile projects including Hinkley Point C, Wimbledon Tennis Club, Battersea Power Station, St. Bart's Hospital, The Royal Opera House and Earls Court Exhibition Centre. With a 100% safety record and over 150 staff trained in multiple disciplines, we are able to undertake all types of property maintenance work. Over 25 years, Data Energy has built a reputation for delivering the complete energy solution for Managing Agents. Providing specialist expertise to support Property Managers in a sector that’s continually evolving, we provide sound, transparent solutions to get the best from energy supplies; delivering long-term benefits to all stakeholders. Working nationally, our team of Energy Managers & Engineers enable you to control of all aspects of energy procurement & supply, whether it’s a complex District Heat Network or a basic landlord’s power supply. 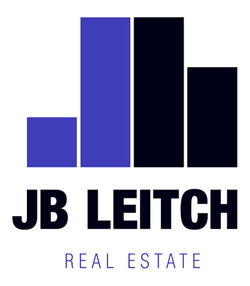 The Real Estate team at JB Leitch provides a seamless, end to end service covering lease extensions, variations, sales, transfers, acquisitions, enfranchisement, right to manage, PRS assistance, training and general advice. Whilst we are widely regarded as the market leader in property arrears debt collection and technical experts on leasehold law, we have been quietly getting on with building the best Real Estate team for your property transactions too. From assignment to acquisition and variation to extension, it’s our bag. You can be sure we’ll bring our specialist expertise, the same attention to detail and our obsessive customer service to your non-contentious work. It’s just what we do. Communal Cleanliness and up-to-date communal ground maintenance are vital for ensuring satisfactory health and safety standards in properties. Yet another responsibility that falls on the property manager. Fortunately, JM2 Support Services was built to be a lifeline for these busy individuals. JM2 provide communal area cleaning, window cleaning, communal garden cleaning and bulk waste removal services exclusively to the block and estate sector. 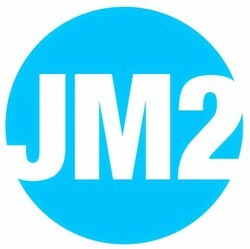 JM2’s teams are on site daily and trained to be vigilant to health and safety defects and potential hazards giving clients peace of mind and keeping them informed whilst eliminating any unnecessary site visits. They work closely with clients to improve lines of communication between property manager, resident and fellow suppliers. Established in 2005, Locale is the trusted provider to some of the most high-profile clients, portfolios and iconic buildings in UK, over 200 buildings trust Locale. Our long-term outlook and process-driven service is one of the reasons why our management software is used by some of the UK’s most prestigious property brands and iconic landmarks including The Shard (REM), Savills, BNP Paribas, The Crown Estate, CBRE, Knight Frank and Barratt London. By the end of 2017, around 45million square foot of real estate were using the Locale portal and we are currently working on projects with a practical completion date of 2040.